Isn’t life in the 21st century wonderful? If you are as old as I am you might remember how difficult it was to travel if you were expecting money to come to you after you left home. We had to go to the bank to buy travelers’ checks. Everything about it was cumbersome. Then in the 1980’s came this wonderful thing called the ATM card. Lovely! Now my money follows me around the planet and it is great to be able to travel. Whether you are traveling through Asia, Africa or even a bit closer to home, these tips will help you to keep your money safe. How does international banking work in developing countries like Nepal? Actually, it works pretty well considering all that can go wrong. 1. Use only ‘Tourist Friendly’ ATM machines. 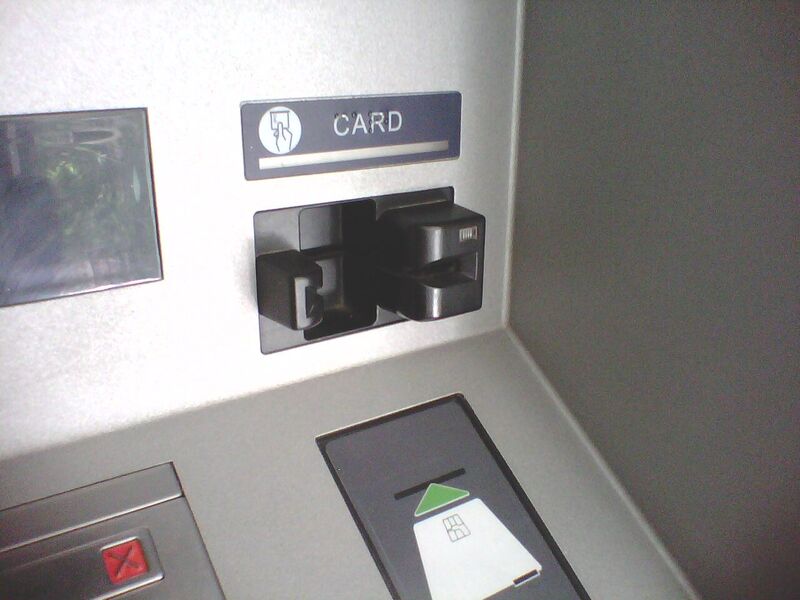 This is the machine that has a slot whereby you can dip your card without letting go of it (see picture). In Nepal, there are both scheduled and random power outages. If you use the other kind of ATM and let go of your card and there is a power outage before you complete your transaction you will need to spend the next day at the bank or tourist police department getting your card back. There are fewer of these ‘tourist friendly’ ATMs than there used to be. My solution; Check the time and don’t use the ATM near the top of the hour if you are in a country with scheduled power outages. 2. Always make sure there is a guard outside. Although they may not speak English, they will help you if you need them. I also like to use the same one regularly so I can recognize the guard. Random guys in uniforms are not always legitimate guards. Fortunately, Nepal is not a dangerous country. 3. Don't try getting money on the weekends. There are often problems with the international cable lines and if it’s 2:00 am on a Sunday morning in the West there isn’t much that can be done until business hours wherever the bank’s headquarters is. This can affect banks in Europe also, since many international banks have headquarters in the US. It seems the problem may be due to the Atlantic cable lines. 4. Don't try getting money on National holidays in the country you are in or Western holidays. 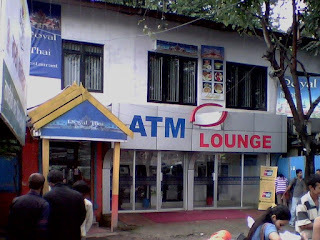 It is not uncommon during major festivals in developing nations to see many ATM machines out of money. 5. Do not wait until you are out of money to go to the ATM. Many tourists expect to just stop by the ATM on their way to go trekking or to an excursion outside the metro area. There are few ATMs in the rural areas in developing countries. It is not uncommon to see 24 hour ATMs closed down tight. When one machine runs out of money or is closed there seems to be a domino effect on the others in the area and you can spend all morning looking for a ‘tourist friendly’ ATM. 6. Don't go late at night. Particularly if you have different color skin or are wearing Western attire, you will be noticed by everyone. Why put the spotlight on yourself? 7. Don’t go to stand-alone machines. Make sure the actual bank is nearby. Otherwise, it is difficult to know if it’s a legitimate machine. Inspect the ATM machine for legitimacy. Fortunately, Nepal does not have this issue and ATMs are always in safe places. 8. Cover the keypad with your left hand while you enter your PIN. There can be a camera that records which keys you enter. Then the criminals copy your card and clean you out! This does happen in Nepal. 9. Be very careful if you go to ATM lounges. People are very curious about how the international banking works. Do not go at extremely busy times. I only take one pull at a time from the ATM lounges. Otherwise, I would walk out with everyone knowing I have up to $1,000. That’s a lot of money in many countries. 10. Get at least one special debit card for traveling from an international bank, such as Chase or Standard Chartered Bank. Depending on the account you set up, they can remove international charges from your statement. By using online banking you will be able to transfer some money when you need it, but if the account becomes compromised your main account will remain safe. 11. Just because your debit cards works in a nation's capital city like Kathmandu it doesn’t mean it will work in Pokhara, or another major city outside of the metro area. It’s best to check to see if a bank that works with your card has a branch in the area before you go. If it works at Himalayan Bank, for example, keep it in mind and look for that bank first. 12. Don’t take too much money with you. You should budget $20 per day (in Nepal) if you are a budget traveler. If you go trekking or on a safari with a company you won’t need any money, but you should carry a little bit anyway, just in case they don’t want to pay for a second cup of tea with dinner. 13. Most important: Never use your ATM card to buy products in a foreign country. If you need to dispute a charge the bank will need to nullify your card. The time involved with this is a waste of time. Just use your card for ATM's only.